Tosoh Bioscience GmbH is a premier provider of chromatography products, servicing customers in industry, academia and government institutions in Europe, Africa and Near East Asia. Our HPLC columns and purification resins are relied on by chemists and engineers for research, process development, quality and process control in such diverse fields as life sciences, nutrition, chemical manufacturing, and environmental monitoring. Our products are exclusively manufactured by the Bioscience Divison of Tosoh Corporation, our parent company, with headquarters in Tokyo, Japan. The Tosoh Bioscience GmbH is located in Griesheim, close to the Frankfurt airport. Supply Chain offices are located in Tessenderlo, Belgium. 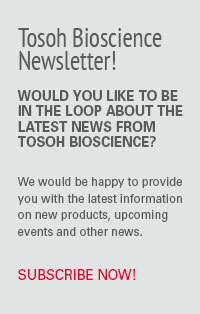 If you are looking to join a dynamic, growing company, consider Tosoh Bioscience GmbH as your company of choice!